On summer weekends this is a popular place, to say the least! In addition to being a choice destination for hikers, it is a favorite swimming hole for locals. It's not uncommon to see children splashing around, cooling off in the chilly water. 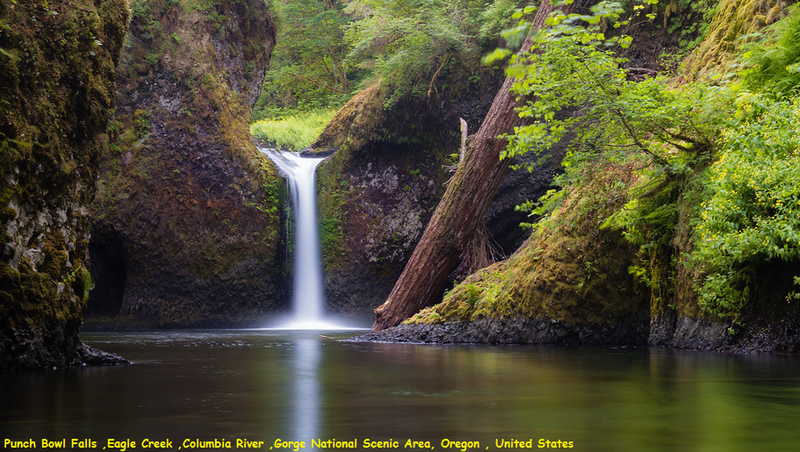 However, if you can come early on a summer weekday, or in the off-season, this can be a place of enchanting solitude - as you sit relaxing at the water's edge surrounded by tall, dripping, gorge walls and old growth forest.